April 2019 – Dr. Elva Edwards, D.C.
Perhaps you have been in my office when I give the statistics for statins: for every 100 people given a statin, it helps one person live longer, 30-40 people are hurt from the side effects and the others are just taking the drug without benefit. Or perhaps you have heard me say that 250,000 people a year go on kidney dialysis because of taking over the counter non-steroidal anti-inflammatories. And you may know that many people die every year from taking pharmaceutical drugs the way they are instructed to take them. But did you know that more people die every year from eating junk food than they do from taking drugs? Here is an article about how our food is responsible for causing the chronic inflammation. Let’s change health care by eating real food. What a concept. Learn about the health benefits of food. Why? Our bodies are made to respond to the foods we eat, the air we breathe, the movements we make and the electromagnetic energies we are around. Really, it is fascinating. But that isn’t the only reason. Let’s be real. You know the pharm companies and the prices they charge for drugs. Even though I prefer plants when possible, most people in this country use drugs. And if you have ever looked at the price tag of those drugs, it will make your head spin. Is this sustainable? Most people say, “Oh well, my insurance company pays for it.” We, as a collective, are the insurance company. They don’t have the right to print money, so the money comes from our collective premiums. When we consider that Alzheimer’s has skyrocketed and that by 2025 it is projected that one in two children born will become autistic, will this model survive? Here is a view. What do you think? 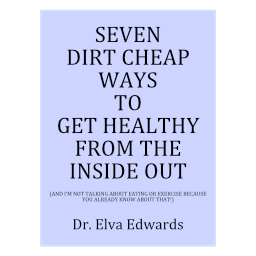 Get Dr. Edwards's e-book Free when you signup for the "Weekly Health Tip" email. After confirming your subscription, a link will be emailed to you in order to download the e-book. All contents of this website are provided for informational purposes only and are not intended to be a substitute for professional health advice, diagnosis, or treatment. Special thanks to Jim Ratts of Raven Recording Studio for the production of The Body Tour audio. Thanks to Angie Stone for the current photo of Dr. Edwards.